Tuesday, September 15 1908 -- This evening Frank Carsey will take on Freddie Welsh at McCarey's boxing pavilion. Neither fighter is all that distinguished, and the boxing bugs are in a tither trying to decide who should be considered the favorite and underdog. 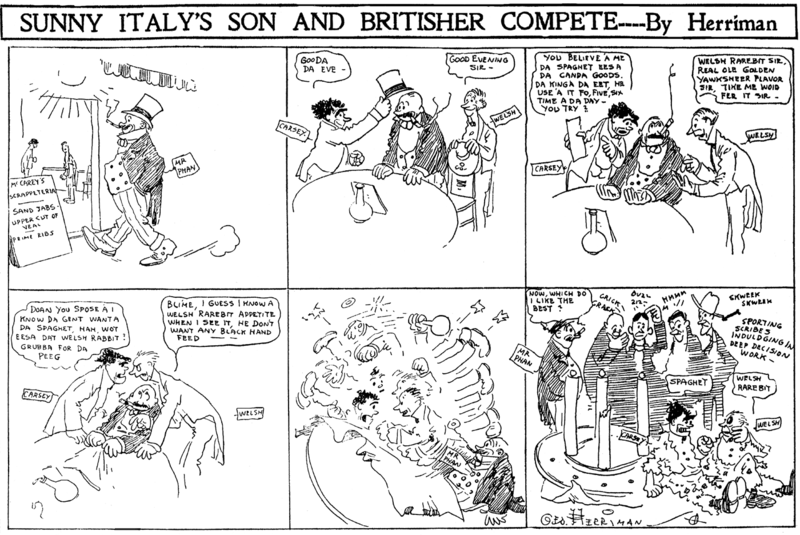 Since Herriman will not cartoon about the outcome, I'll tell you that Welsh knocked out Carsey in the fourth round.